This story originally aired on February 4, 2019. A seemingly annual effort to turn off red-light traffic cameras in 65 cities is again on the move in the Florida House. 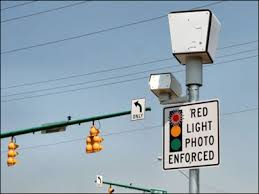 The House Transportation and Infrastructure Subcommittee voted 12-1 recently to support the measure to repeal the Mark Wandall Traffic Safety Program law -- named after a man killed by a red-light runner, which passed in 2010 and allows red-light cameras statewide. The law, contends Sabatini, punishes working-class people – at $158 per ticket -- for things like taking a right on red, failing to come to a complete stop, or just barely crossing the line when a camera is at an intersection. 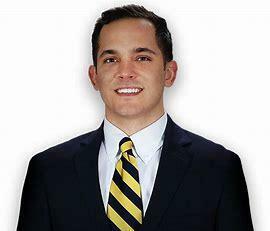 State Rep. Anthony Sabatini (R-Eustis). A similar proposal was approved 83-10 by the House during the 2018 legislative session but failed to gain traction in the Senate. Sabatini points to a study by a Legislative agency to bolster his claim that the cameras reduce traffic safety. As of December 2018, 49 local governments in Florida had red-light cameras in operation, according to the state Department of Highway Safety and Motor Vehicles. Two of them are Milton and Gulf Breeze – Milton with three cameras, Gulf Breeze with six. Despite Rep. Sabatini’s claim, Abell says revenues generated by the devices are not a hidden -- or any other kind -- of tax. Samantha Abell, Gulf Breeze City Manager. A House staff analysis projects local governments could see a drop in revenue of an estimated $80 million annually if the measure is ultimately approved. Abell says for Gulf Breeze, it’s a matter of paying for public safety. Gulf Breeze police, says Abell, do not issue citations for running a yellow light at the intersections with traffic light cameras. The measure has to pass two committees before it can go to the full House during the upcoming session. Sen. Jeff Brandes, [R-St. Petersburg] has filed a Senate version which has yet to go before any committees.